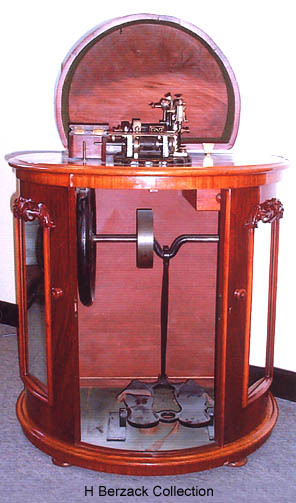 Oldham based Watson & Co. offered this fine mirror fronted demi-lune treadle combination during the early 1870s. The ubiquitous Wheeler & Wilson type machine head was employed. The full list price was a hefty £14.10s.0d. For a close up of the machine, click here. To view original receipt, click here.